The journey to Washington, D.C., and the Scripps National Spelling Bee begins each fall as thousands of schools enroll with the Bee. More than 11 million students participate in classroom and school bees before advancing to local bees coordinated by newspapers, community organizations and universities in the area. The winners of these local bees travel to Washington, D.C., to take part in the National Finals. Each of these spellers started the journey to D.C. in the classroom with a study list and a dream. The journey is a journey of competition, but also of discovery of the English language; of support from family, friends, teachers and communities; of camaraderie and good sportsmanship; and of our nation's capital. To inspire your own dreams and jump-start your discoveries, here is a peek at what the 291 National Finalists experienced at Bee Week 2017! 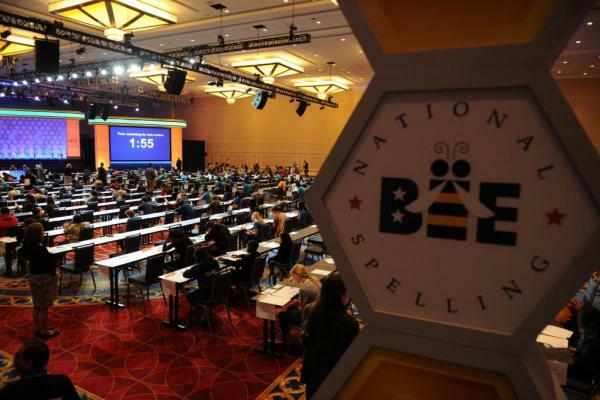 Excitement and anticipation filled the Gaylord National Resort as spellers and their families arrived at Bee Week and took part in the Speller Registration, an opportunity for spellers to pick up their swag bags and get to know the other national finalists. The swag bags included prizes from our sponsors, the exclusive speller t-shirt and the Bee Keeper — the autograph book that spellers used to collect signatures throughout the week. 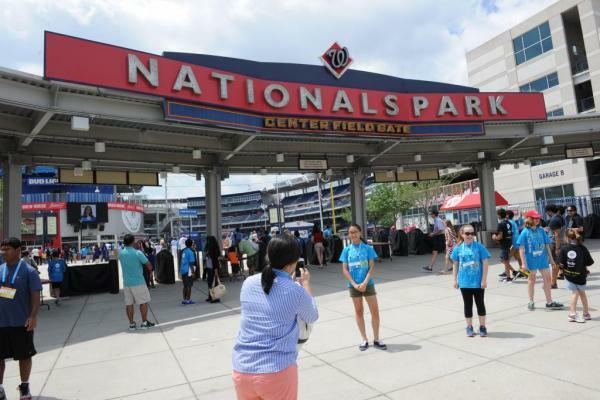 Spellers and their families traveled to Nationals Ballpark, home of the Washington Nationals, for the annual Bee Week barbecue. The afternoon was packed with great food, field games, dance-offs and arts and crafts. Following the barbecue, spellers and their families gathered in the Maryland Ballroom for the Opening Ceremony and Assembly, where the spellers learned a bit about the Bee's long history, and received instructions and advice from Bee officials including executive director Paige Kimble. Bright and early on Tuesday morning, spellers took the Preliminaries Test, a multiple-choice test that contained both spelling words and vocabulary questions. 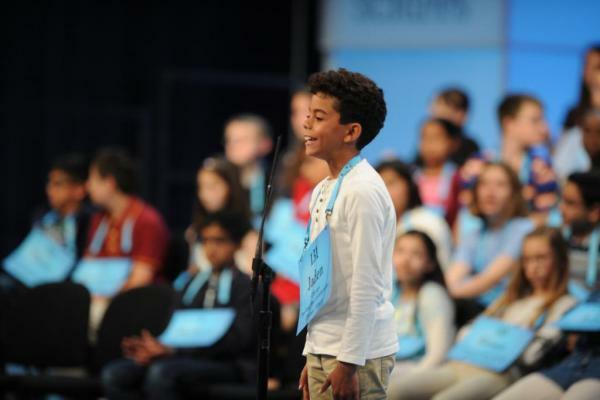 Think you have what it takes to be a national finalist speller? Take the test! The onstage competition began first thing on Wednesday morning as spellers took the stage for Round Two of the Preliminaries. Spellers who spelled correctly in this round advanced to Round Three. Based on the combination of their Preliminaries Test scores and the points gained for spelling correctly onstage, 40 spellers qualified for the Finals. The energy in the ballroom was buzzing as ESPN's Paul Loeffler announced the names of the Finalists after Round Three. On Thursday morning, the 40 Finalists battled against the dictionary for a spot in the primetime Finals. In the end, 15 spellers accomplished the buzzworthy feat of being named Top Finishers of the 2017 Scripps National Spelling Bee. 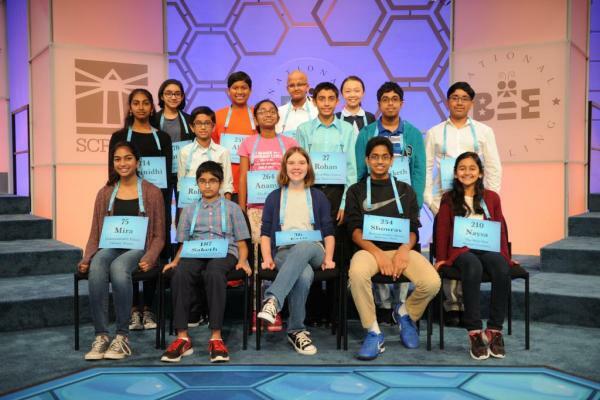 On Thursday evening, 15 spellers took the stage to compete in the final rounds of the Bee, which were broadcast live in prime time on ESPN. 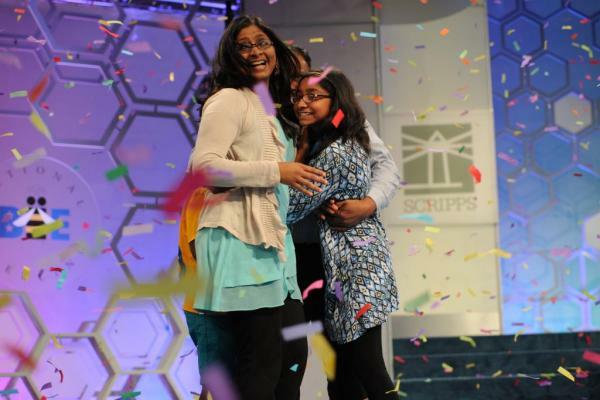 After 19 rounds of head-to-head championship spelling, Ananya Vinay, 12, was declared champion of the 90th Scripps National Spelling Bee. On the final evening of Bee Week, spellers and their families joined the officials and staff at the Awards Banquet to celebrate a great week of competition. Pronouncer Dr. Jacques Bailly and Associate Pronouncer Dr. Brian Sietsema presented prizes to each of the Top Finishers, and the audience was inspired and amazed by guest speaker, Jon Petz. The final event of Bee Week may very well be the most fun for spellers! At the Farewell Party, spellers take to the dance floor, exchange contact information with new friends and pose for funny pictures in the photo booth. It's a great send-off for everyone involved in Bee Week. Want to begin your own journey to Washington, D.C.? Check to see if your school is enrolled with the Bee!